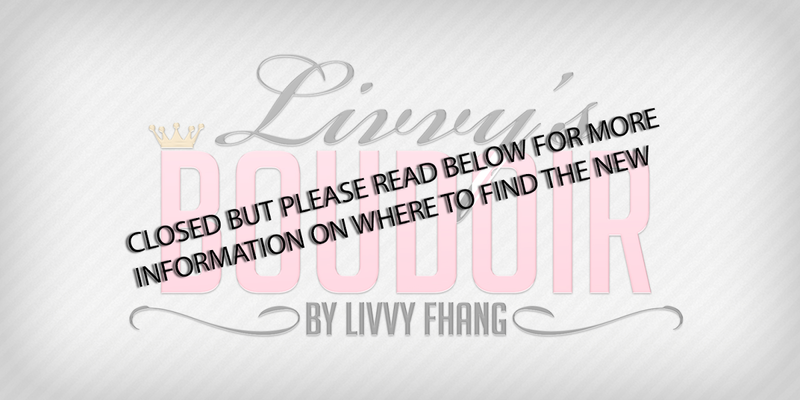 Livvys Boudoir: Hey Good Looking ..
Hi everyone! I am excited to show you the updated version of the dress I am wearing. Blueberry has always made amazing items. And this dress is no slack at all. Whats even better is that now there are more fabrics to choose from assuming you have the fatpack. If you have not gotten your update for the Sophia dress, please head over to the main store and get a redeliver! Now, my shoes are Blueberry too ♥ I am loving on these because they look like dragon scales. Along with that you get three different heights ... ankles, knee, and thigh highs, those amazing lace ups are the best and really I am dying over these thigh highs. While there are many colors to choose from, I cannot help but go with the classic black. To top it off, I pulled out a Luxe box item. I would like to warn though this is a PAST item and no longer for purchase at the 1500L price. Though I wanted to point out the maker of this hair has a store full of amazing hairs and the textures are so good. Please make sure with her hairs you are trying the demo if you have a mesh or bento head, some hairs do not fit the head right and you might need to tweak your shape. But I have RARELY found that to be an issue with my Bento heads. But you never know.